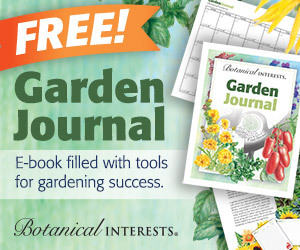 These magazines focus on topics of interest to gardeners in upstate New York. Buffalo Spree Magazine is Western New York’s only city and regional magazine. A national-award-winning glossy, Spree is dedicated to providing timely, informative, and entertaining articles and features relevant to Buffalo and the seven counties of Western New York. Through focusing on arts, architecture, design, fine dining, local history, and local people, and through providing accurate dining and cultural listings and calendars, we help our readers take advantage of the best Western New York has to offer, and keep them informed about what’s happening in their community. New York House covers the entire Hudson Valley in a single publication. Reporting on this large and diverse region is a challenge, due to its historical and cultural richness, its variety of communitiesâ€”from suburb to exurb to urban to ruralâ€”and its ever-evolving nature. It evolves because so many of us appreciate its varied offerings, from pulsing city to peaceful forest, and want to enjoy it all. And that's why we're here. We want to promote a conversation about this unique area. We want to help you find what's best about living here, and urge you to join us in considering how the region will develop as we progress, together, from a rural and industrial past to a postindustrial futureâ€”one in which how and where we choose to live, and build, will have a tremendous impact. I am beginning to suspect that Rochester is the gardening-est city in upstate NY. Do you know they have a Garden Civic Center, "dedicated to providing a quality educational experience for the novice to the expert, in the warm and friendly company of fellow gardeners." And that's besides Cooperative Extension. If Buffalo, Albany, or Syracuse have such an institution, I'd like to know about it. I know Binghamton doesn't. Rochester also has this magazine. I wish it did cover all of upstate NY; really it mostly covers the Rochester area, although coverage has expanded significantly since I started subscribing (and writing for it). The ads are just as informative as the articles. (To me, at least. I didn't know about most of these establishments before I opened the magazine.) And if you don't mind traveling to buy your plants, it will still be worth the modest cost.